I’m now halfway through my Invisalign treatment and can’t believe how easy it is! You just get in to a routine wearing them every day and great can still eat what I want at mealtimes when I take them out. Amazing that you can see the progress and changes in your smile with every week. Morven’s been amazing at guiding me through it. Very excited to see the end result! I cannot recommend this practice enough. There are literally no words to describe how grateful I am for the fantastic care I received in both my initial emergency appointment and subsequent appointments. After a really bad experience with my previous dentist, I have avoided going altogether. However recently I ended up needing an emergency appointment and 2 rounds of antibiotics/extraction on a tooth that had previous root canal treatment. I had read previous reviews with scepticism if I’m honest – but called for an emergency appointment and I was given an appointment for 20 minutes later! On all 3 occasions, the reception staff were friendly and welcoming – this really made a huge difference for me. I was given an appointment with Nial and Laura – who were so kind and understanding, and very clearly absolute professionals. They really put me at ease and were very considerate and sympathetic of how anxious and frankly terrified/embarrassed I was. I wasn’t in any way made to feel ashamed about my fear or like it was an inconvenience. From the initial injections through to the actual tooth coming out (I didn’t even feel it!) I was really well looked after. Nial double and triple checked I couldn’t feel anything at all and I have never felt so delighted to have been to the dentist in my life! Despite issues with not feeling properly numbed up with my previous dentist, I can honestly say it was absolutely pain free! I would rate a million stars if I could, I don’t feel at all nervous about going back for the other wee things I’m needing done. I will be registering my daughter, because when you have such a fantastic experience I’m confident she won’t develop the fear like I did! Can honestly and undoubtedly say this is the best Dentist I’ve ever been to, and I wouldn’t hesitate to recommend to anyone. "I'm Not Scared Of The Dentist Anymore!" I was worried about receiving the treatment. However Nial put me at ease by explaining before just what was entailed. The treatment was completely pain free and the video glasses he used took my mind off the process. Again after Nial explained what I could expect and told me what I could take if I experienced any pain. My initial worries proved fruitless. Had fillings today, treatment was completely pain free. I am a nervous patient and the girls were brilliant. I was terrified about root canal treatment, Nial put me at ease and it was painless and he was so gentle. Please anyone going for this treatment, don’t be frightened,I recommend it. "Constantly Smiling", "Completely Pain Free"
I found my experience really relaxing as I’m a bit nervous with getting work done on my teeth. 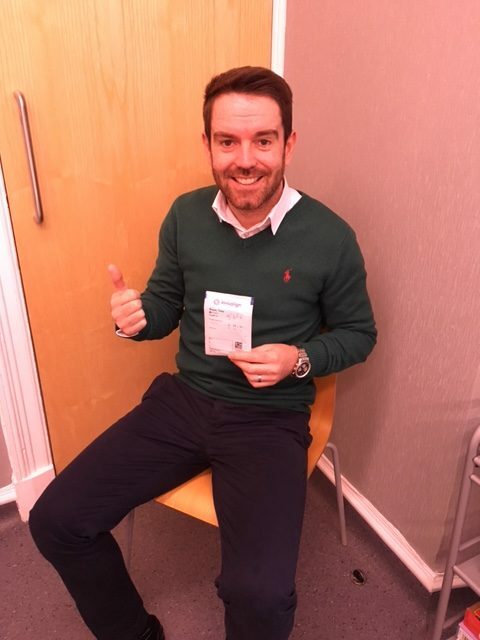 I needed this filling done at very short notice as I’m receiving heart surgery 1 week later, therefore Nial assessed my needs and gave me the treatment right away.I can’t thank you enough, I can now go ahead with my surgery. Felt very nervous coming into the dentist. Morven was very friendly and explained everything to me. I was given DVD goggles, which I have never had before and I found them very useful in taking my mind of my treatment. My treatment was completely pain free and Morven and Donna put me at ease. All the staff I met at Dentistry on the Clyde were very friendly and helpful. I will definitely be back and will recommend Dentistry on the Clyde to my friends and family. Very happy.Sarah was able to remove glue that had been on my teeth for many years causing staining. The Airflow made my teeth whiter. The whole experience was comfortable. I am a very nervous patient and was not looking forward to my appointment. I was seen by Rebecca and she was most pleasant. I was put at ease and when sat down asked if I’d like the DVD goggles. What a great idea! My appointment flew and the goggles were a tremendous distraction. I will definitely be back to see Rebecca and would recommend the practice to anyone. Very good, happy service, good job all round. Sarah is so professional with all patients, will defo be back. Wow! for the first time ever, completely no pain or discomfort. Finally the fear of the dentist is no more. I was very surprised with how successful this treatment was, after only 2 sessions the difference in my teeth and gums ! Everything was explained in every detail. I will be keeping my treatment going. I am very happy with my smile. Received excellent treatment from Nial. Had two fillings and felt no pain at all. Thank you. I am a very nervous patient. 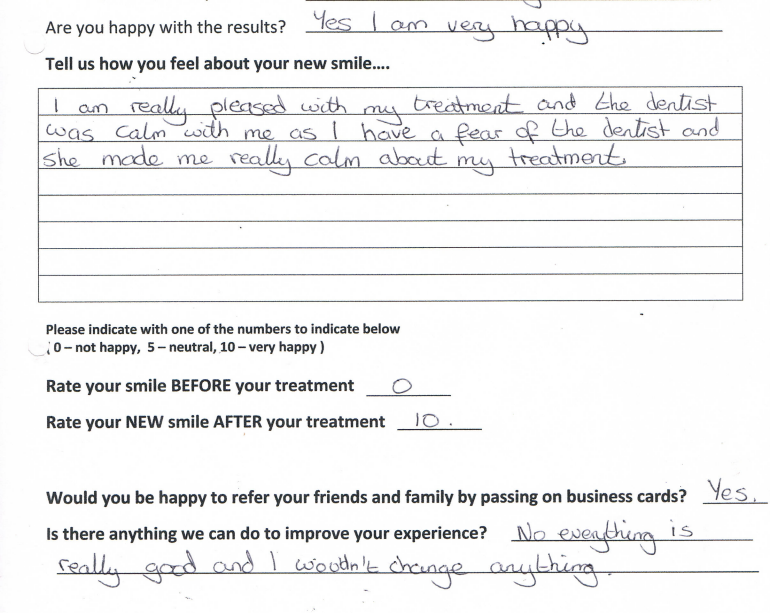 I was put at ease and reassured throughout the treatment which really helped. The treatment was 100% pain free but best of all, there was absolutely NO after pain. Fabulous dentist. Well done for surviving the nightmare patient! Very happy with the service received. Niall explains everything which is great. Left feeling confident. Look forward to my next visit. Thanks for everything. Delighted to have a white filling instead of a silver one but MOST IMPORTANTLY to have always been very afraid of the dentist and this is the first filling I have ever had that was completely pain free! Am very pleased with todays dental work (two fillings) by Niall. Very impressed by the proffesional and friendly manner shown by the whole team here at Dentistry On The Clyde. I was very anxious before I came in but Niall made me feel at ease. 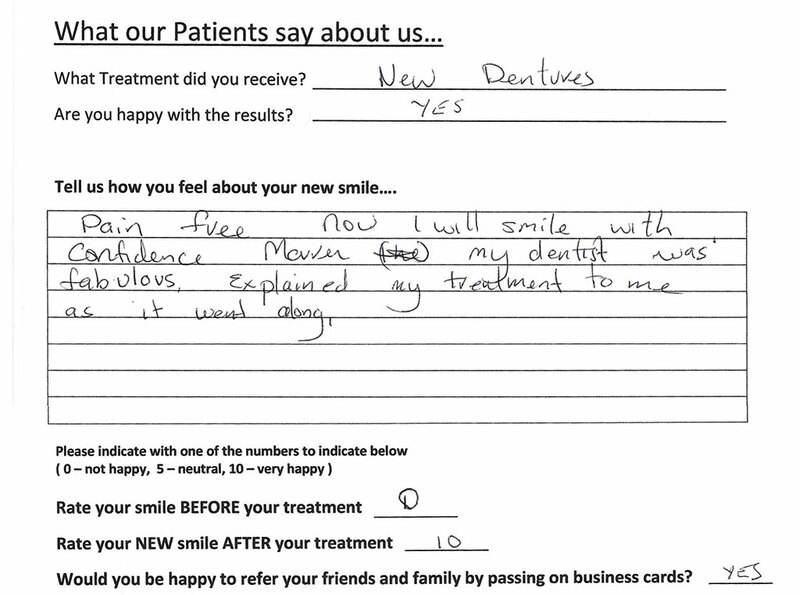 It was marvelous, pain free and he has a very nice manner. Injections were great, felt nothing at all. I asked for Nialls details as I want to see him in future. Best dental treatment I have ever had, Never felt a thing. 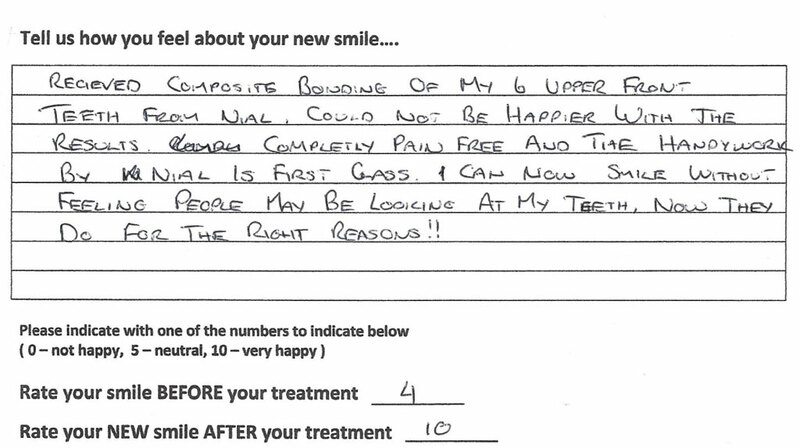 Very pleased as they were painless and the dentist and staff helped me relax and were very professional. Great. Treatment was painless, very impressed. Pain-free treatment and happy with result. Absolutely painless. Felt at ease. Very punctual both with hygienist and dentist. No problem.